Hendrik TIEBEN is Associate Professor and Director of the M.Sc. in Urban Design program at the School of Architecture of The Chinese University of Hong Kong (CUHK). 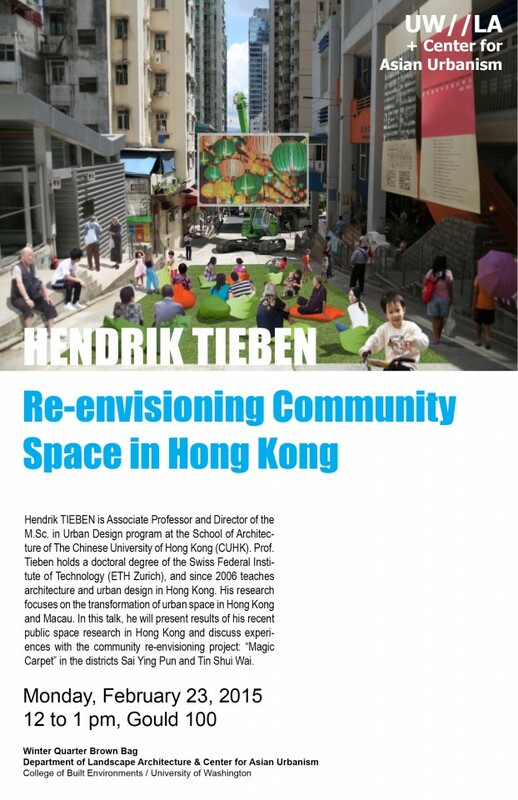 Prof. Tieben holds a doctoral degree of the Swiss Federal Institute of Technology (ETH Zurich), and since 2006 teaches architecture and urban design in Hong Kong. His research focuses on the transformation of urban space in Hong Kong and Macau. In this talk, he will present results of his recent public space research in Hong Kong and discuss experiences with the community re-envisioning project: “Magic Carpet” in the districts Sai Ying Pun and Tin Shui Wai.